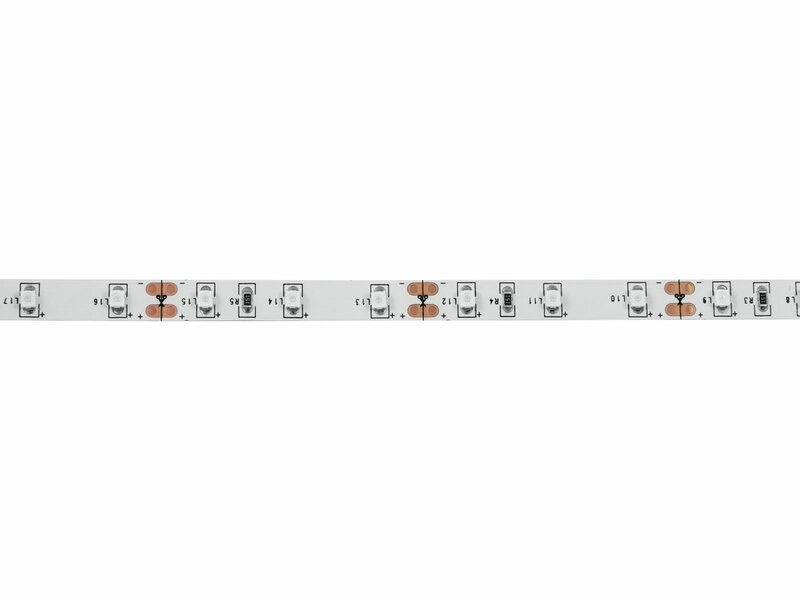 With its numerous LED strips, Eurolite offers light on tape for technical decoration or bar illumination. 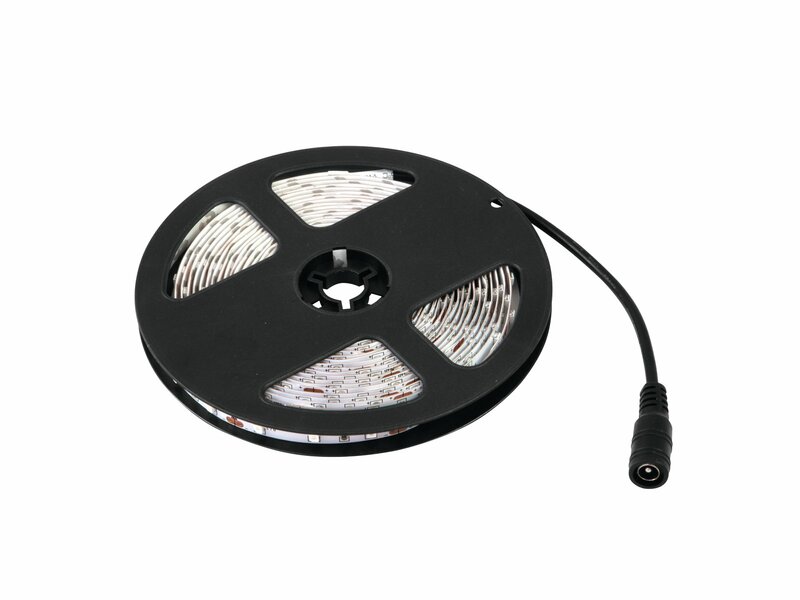 The flexible LED strips have a length of 5 meters. Unichrome versions - red, blue, green, yellow, cool white, warm white - are complimented by two RGB versions. 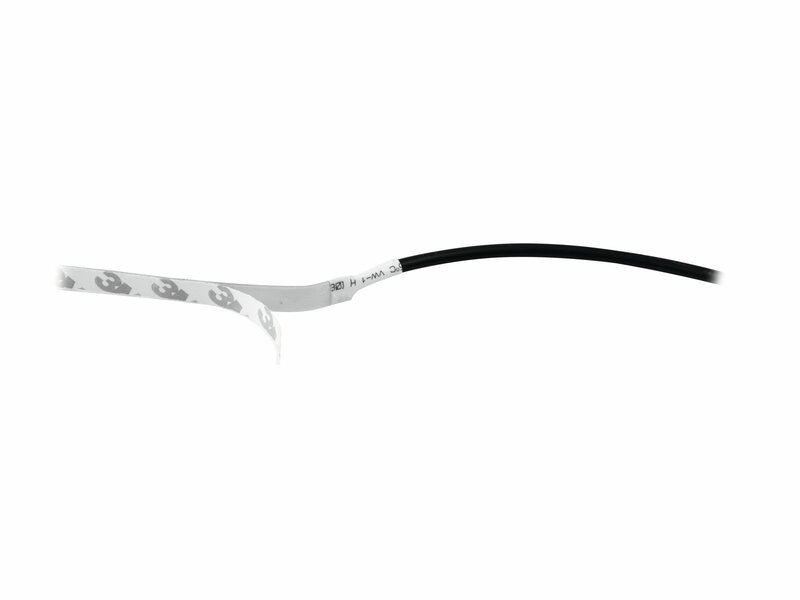 The single colors can be ordered either with a wide span (150 LEDs) or with a short span (300 LEDs) between the LEDs. The RGB versions are available in 12 V or 24 operation - LED quantities are 150 or 240. An optional LED controller controls the brightness and the speed of the RGB LEDs or provides automatic run of the built-in color programs. 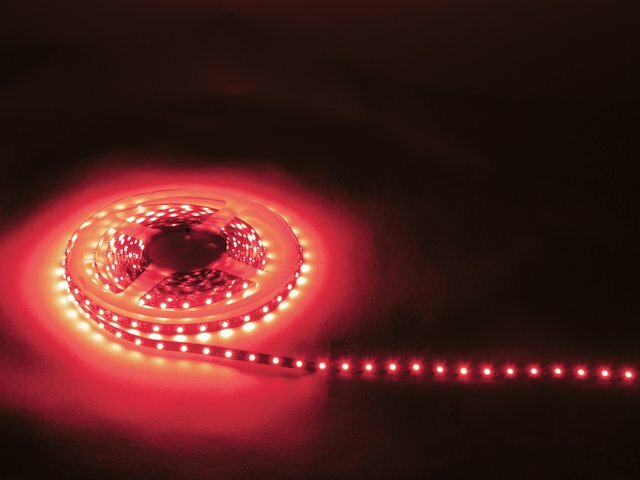 Think about the enormous power of LEDs and you can easily imagine, how effective 300 diodes are, when they are evenly spread over five metres. The first-quality LED ribbons are available in green, blue, yellow and white. When they are used for eight hours a day, their durability is about an unbelievable 33 years in average. Of all the advantages of the LED technology, this is the most impressive.